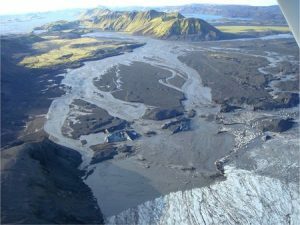 Jokulhlaup is a glacier outburst flood – a sudden discharge of large amount of water from underneath a glacier, which suddenly floods the river valley downstream. Typical jokulhlaups were described in Iceland (jökulhlaup<\em> is an Icelandic word for the phenomenon) around the Vatnajökull ice dome. The glacier covers a mountain massif with periodically active volcanoes. In their craters lakes are formed. In times of increased volcanic activity, the amount of water melted from the glacier exceeds the capacity of the lakes. Water overflows the rims of craters, causing sudden widening of drainage channels and a flood at the glacier forefield. 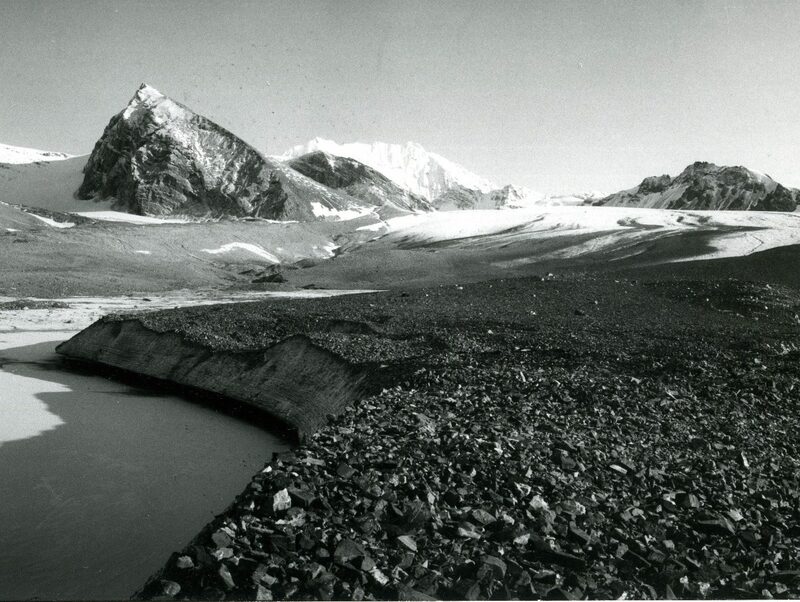 Glacial outburst floods can also be caused by breaching of ice barriers, which dam proglacial lakes or lakes, which form in valleys blocked earlier by a surging glacier (in Caucasus or Tien-Shan mountains). Most common floods are a result of very intensive summer precipitation over valley glaciers, e.g. in Norway, because of very fast flow of rainwater from the surface of the glacier. This type, however, is usually not catastrophic. Fig.1. Iceland, glacial flood on the Skeiðarársandur, 1996. Photo: Th.Thorsteinsson. Fig.2. 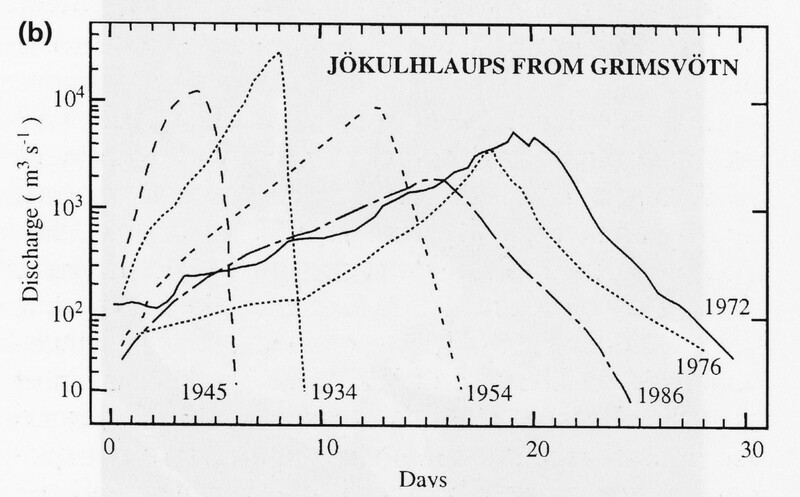 Vatnajökull cross-section, with Grímsvötn lake (a) and water discharge curve in the Skeiðarársandur during 1954 flood (b) (Jania 1993). Fig. 3. 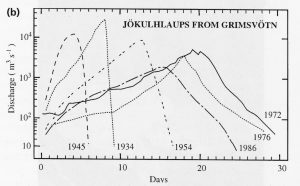 Discharge curves during glacial floods in Iceland. Highest discharges can be even 10 thousand times larger, than normal. (Benn&Evans 1998).